Unit dimensions (l x w x h) 2,000 mm. X 1,600 mm. X 2,150 mm. We are the prominent manufacturer, exporter and supplier of Monoblock Rotory Machine, these are known for their best performance. We make available these machines at very reasonable price. We always deliver these products in best quality. These machines are highly appreciated by our client. 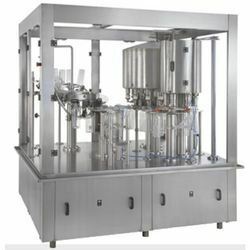 Looking for Automatic Rinsing Filling Sealing Machine ?